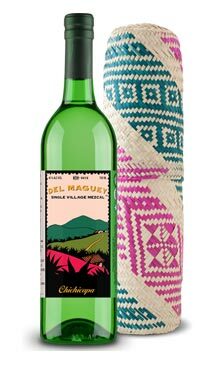 Del Mezcal produced the original handcrafted way by small family producers in their own villages. Chichicapa is the name of the valley where this Mezcal is produced by Faustino Garcia Vasquez. It has a relatively light nose, yet is rich and sweet on the palate with lots of citrus notes and complexity. It has a long finish and develops a smokiness with hints of chocolate and mint on the finish.